Matt called me about building an interior transom for his home in West Harrison, New York. 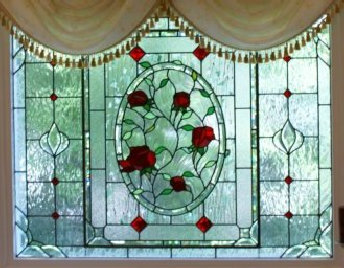 He sent me photos of 2 absolutely gorgeous stained glass windows already in his home. 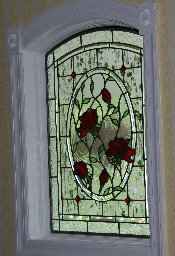 He wanted a transom to compliment his existing glass. Matt knew exactly what he wanted and he wanted it fast. Our timing worked out perfectly and his transom was ready for shipment within 2 weeks. 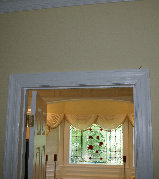 Matt's Transom measures 12 1/2" x 29 1/2", has 54 pieces of glass, and was completed in September, 2007.